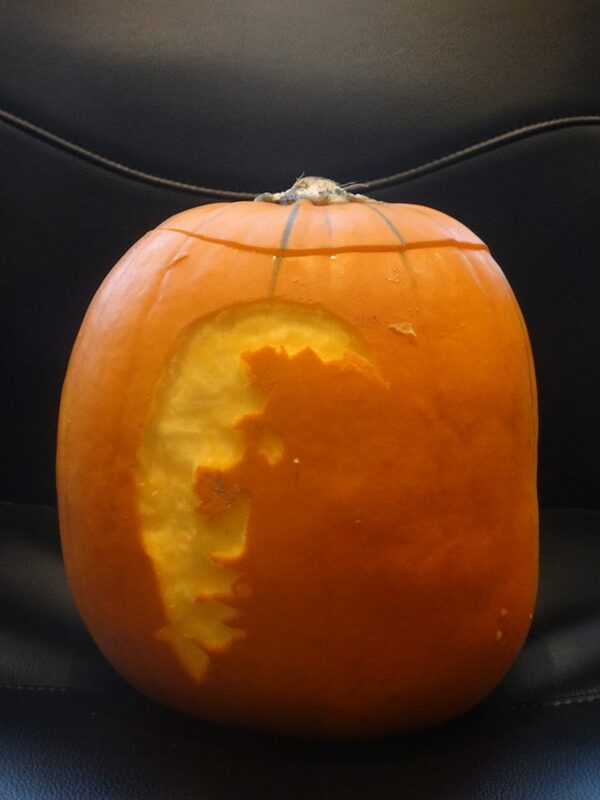 For your Hallowe’en Pumpkin! 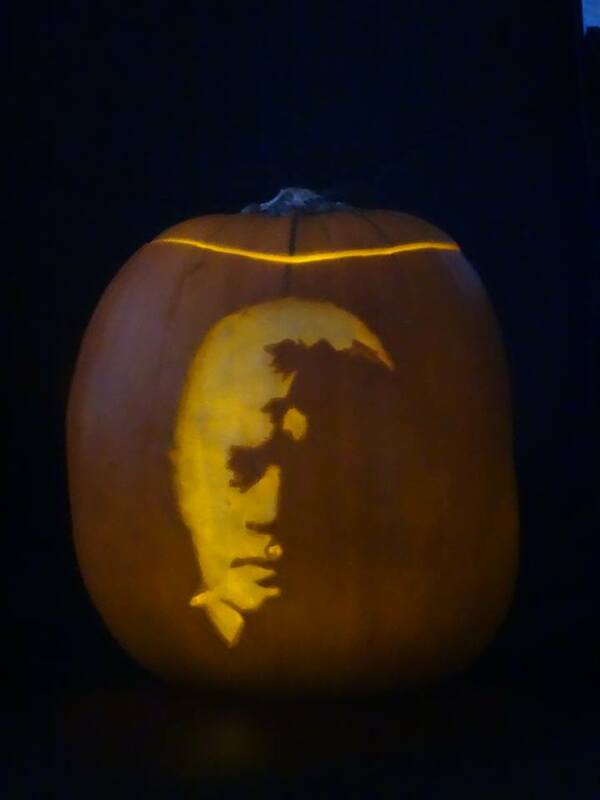 Prepare your pumpkin as usual… hollowing out the interior to about 2 cms thickness. 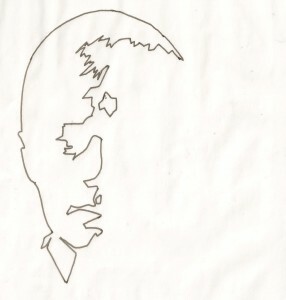 Print off the outline of Straker’s face, (this is the same one I used for the cake!) It is best at A5 size or smaller…depending on the size of your pumpkin. 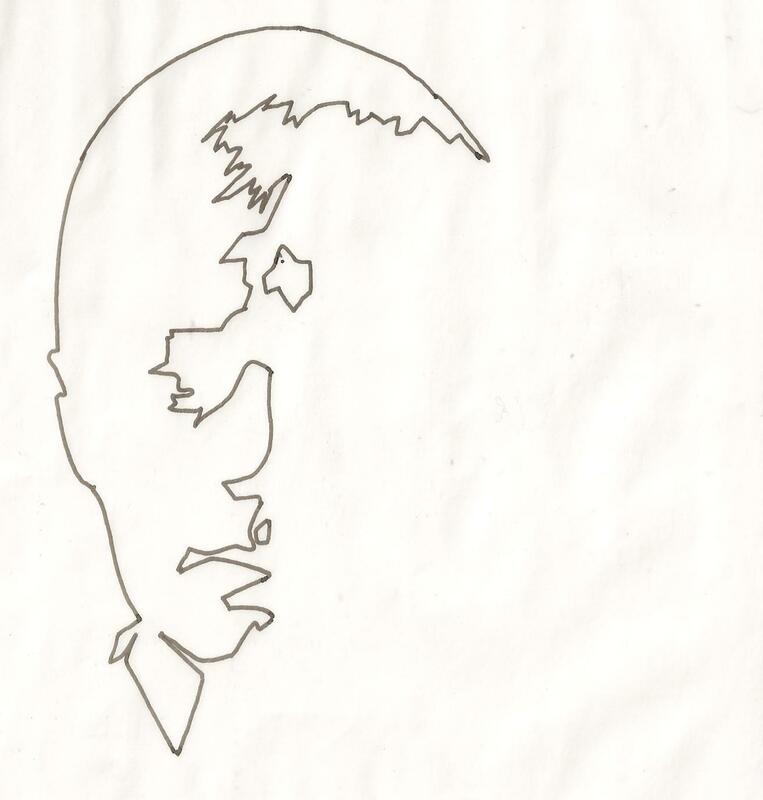 Then hold the paper firmly against the pumpkin, and, using a long needle, perforate around the outline so that you end up with a ‘dotted’ face on the pumpkin. With a sharp pointed knife, cut along that ‘dotted line’ through JUST the thick outer layer of the pumpkin. Then cut away the orange surface. The next part takes time and patience! Now carefully scrape away the interior of the pumpkin where the ‘face’ is. You need to get this as thin as possible without actually making a hole through the flesh. It is easier to scrape from the inside of the pumpkin but you may find that you need to ‘sharpen’ the edges of the face as you go along. The thinner you get it, the more effective it will be. As you can see from the photograph, the face doesn’t look particularly interesting, but once lit with candles from inside and seen in the dark it certainly gets attention! Mine go on my gateposts, and I enjoy watching people drive past then reverse and come back to take another look!